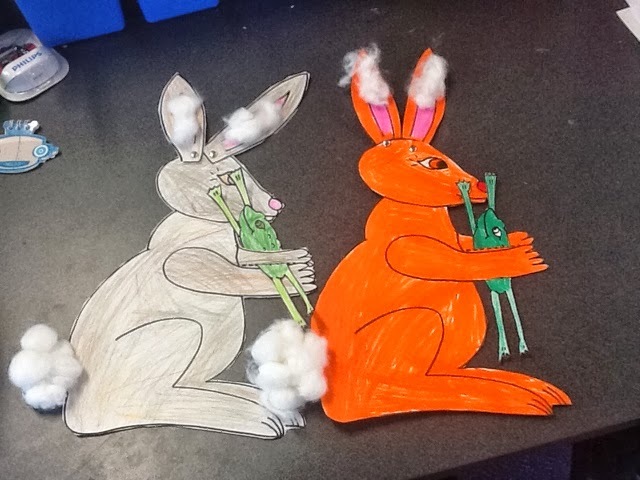 My grade one student is finishing off a year long literature theme on fables next week. 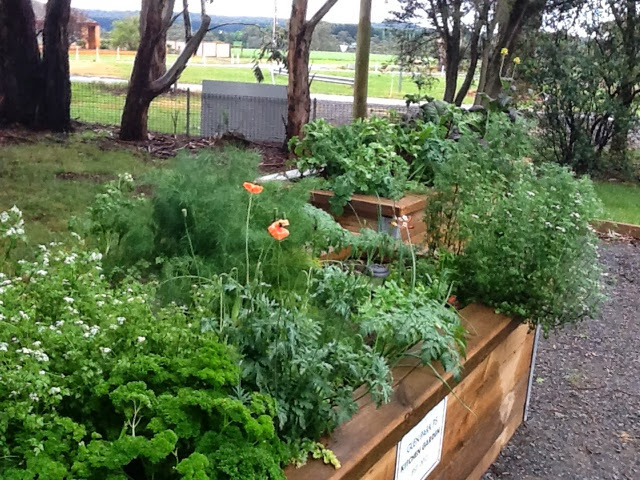 My prep student has been working with her lately and today they read The two Pots. 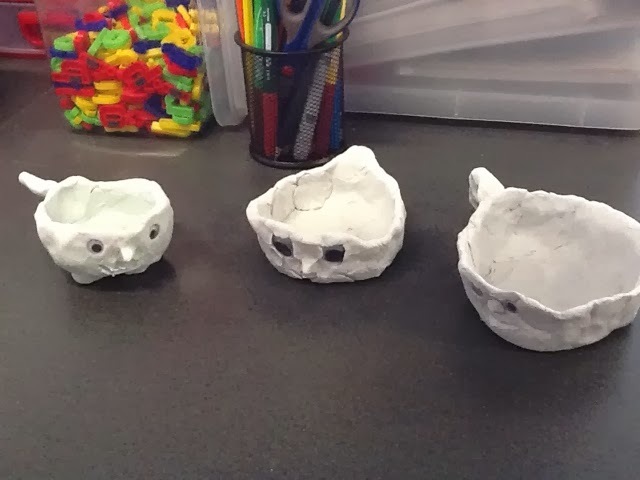 They used air dried clay to make their own pot and made faces and inserted goggle eyes. They look really good. 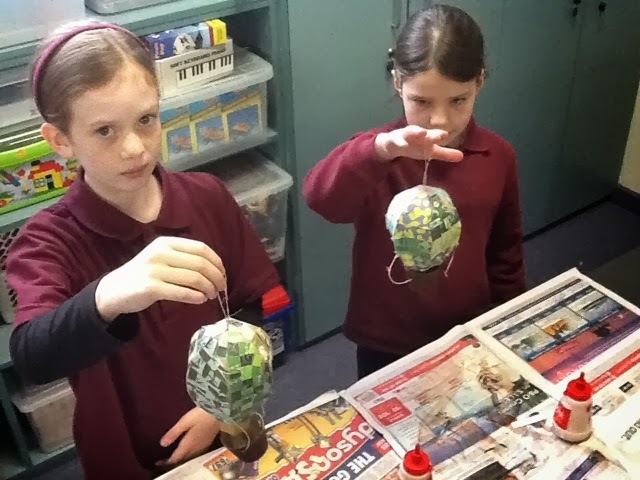 When they have dried next week we'll paint them. We are watching Return to Oz on DVD this afternoon. It is a good movie with a good cast and remarkable pre- CGI special effects from Disney circa early 80s. It is not quite Marvellous Land of Oz but it does introduce some of the characters from that story. ( Mombi, Jack and the Gump) other characters like the Nome King, Wheelers and Tick Tok appeared in other sequels. 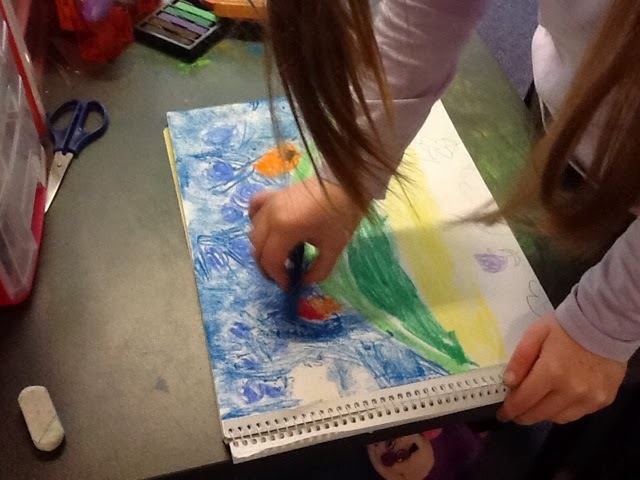 We have been completing Oz art work this week ( see pictures below) the 2 grade 3 girls are showing off their Oz balloons and there are images of the scarecrow farm scene( children drew a picture of an American style barn and they colored them in with chalk pastels, they painted the background by marbling using a variety of colors other than blue. 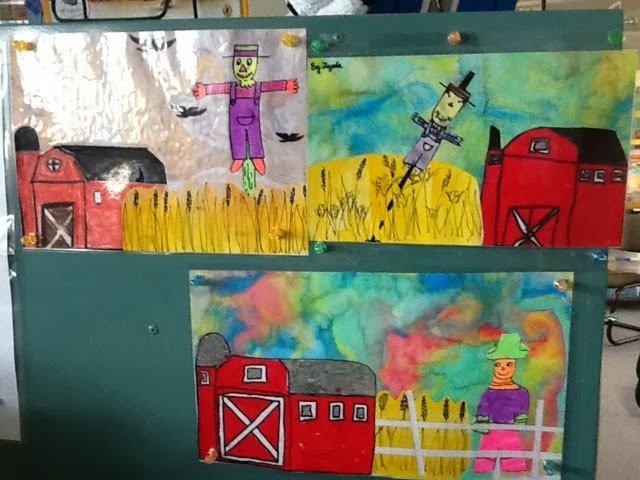 We used step by step instructions we found on Pinterest to draw scarecrows using wax crayons or colored pencils and we used water colors to paint the crop the scarecrow is protecting.) When everything was put together the pictures looked great. 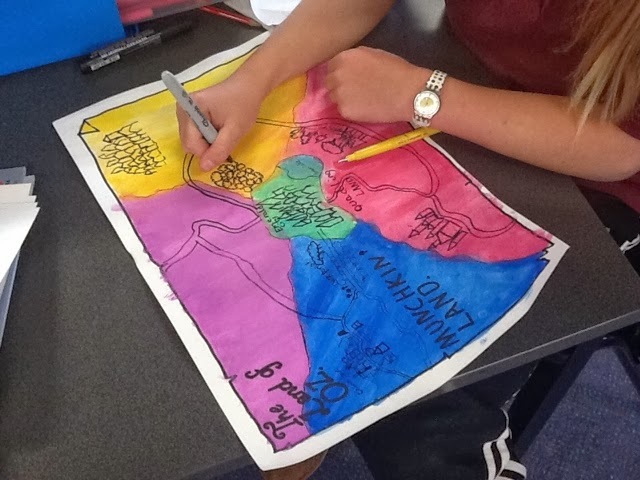 Today we created maps of the land of Oz. It is a bit more difficult than you might think because Baum lost track of what he had written about when he started writing sequels to the Wizard of Oz. 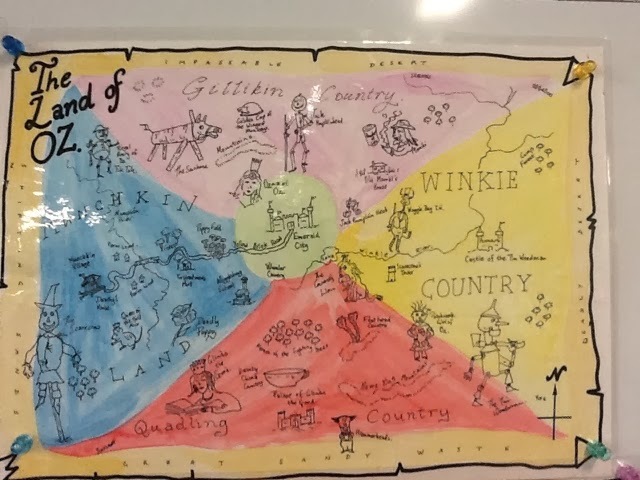 He even switched around the Munchkin land and Winkies Land so some maps of Oz are very inaccurate. 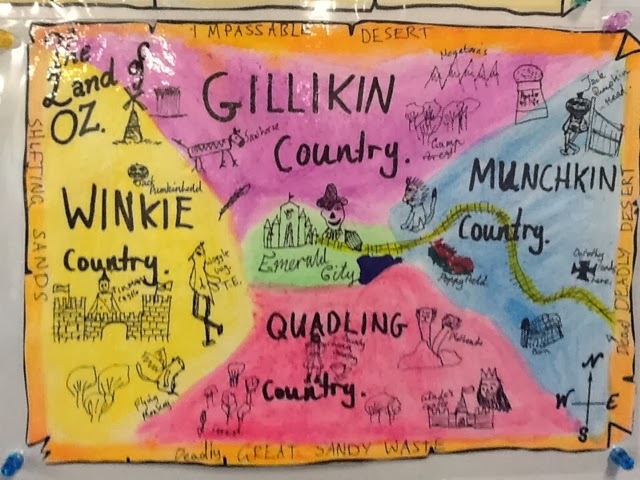 ( There are lots of Oz maps online just Google 'maps of Oz'.) 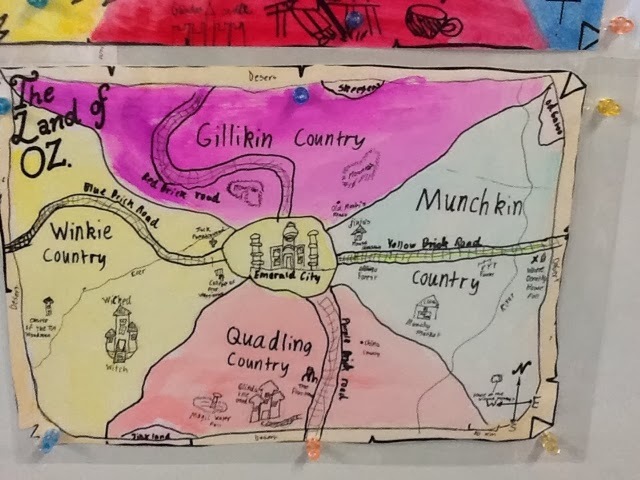 I created a map outline for the kids and copied it on cover paper, they used water colors to paint the color of the four main lands and the deadly desert that surrounds Oz.They then used fine liner pens to draw in details on the map including sketches of some of the characters from the Wizard of Oz and the Marvellous Land of Oz. 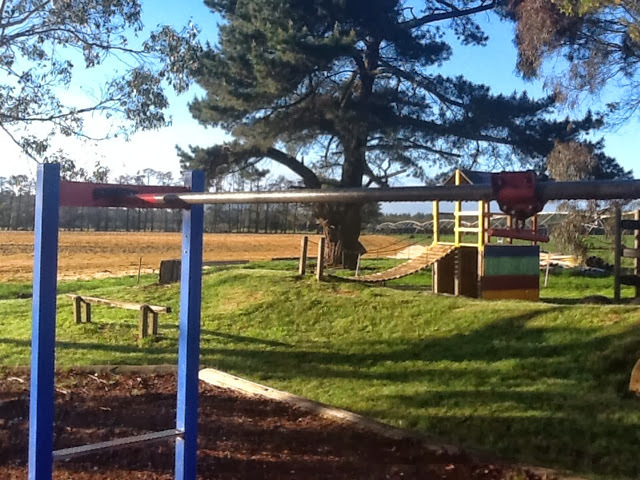 The children's efforts are photographed below. 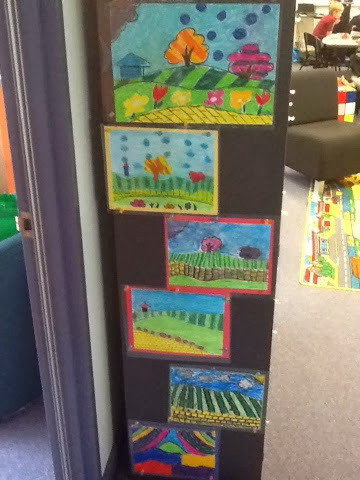 The children made chalk pastel pictures of Oz using bright and unusual color combinations for trees and sky and of course adding the yellow brick road. We just finished The Marvellous Land of Oz. I think the girls found the fact that Mombi had disguised Princess Ozma as the boy Tip a bit 'creepy'. We will start reading Conan Doyle's Lost World ( the unit is already on TPT) to finish off our unit on classic science fiction. The grade 6 students might like to go on and read Dinotopia. ( My unit plan for that is on the school's website. I received very encouraging feedback on that from the author, James Gurney. He has it on his Blog as well.) I will also read an abridged version of John Whyndam's The Day of the Triffids that I recently found in a 'bargain bin'. I was a big fan of his writing long ago and read most of it. Chocky was my favourite. 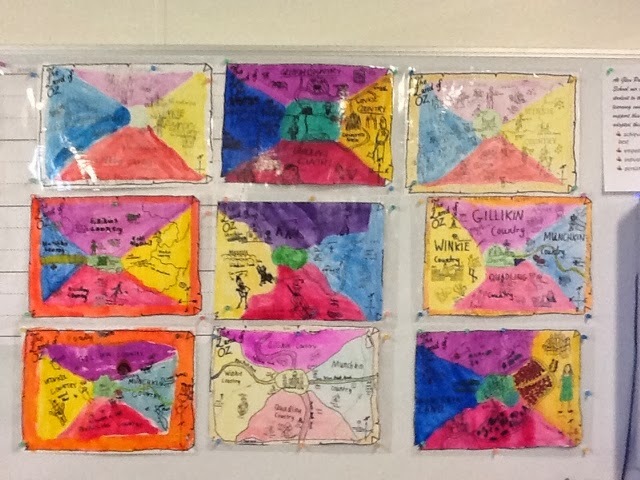 I'll also try to read New Zealander Maurice Gee's Under the Mountain as part of a science unit on space.Below are photos of the chalk pastel pictures ( I forgot how messy they are) and the sequencing tasks we finished for The Time Machine. 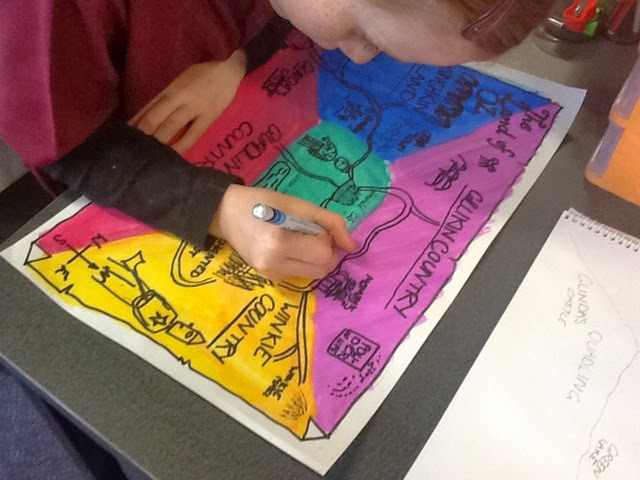 Next week we'll try drawing a map of Oz. It should be interesting given that F.L. 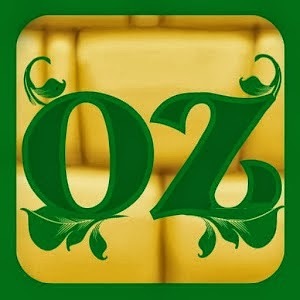 Baum had continuity problems himself when he wrote his Oz sequels. 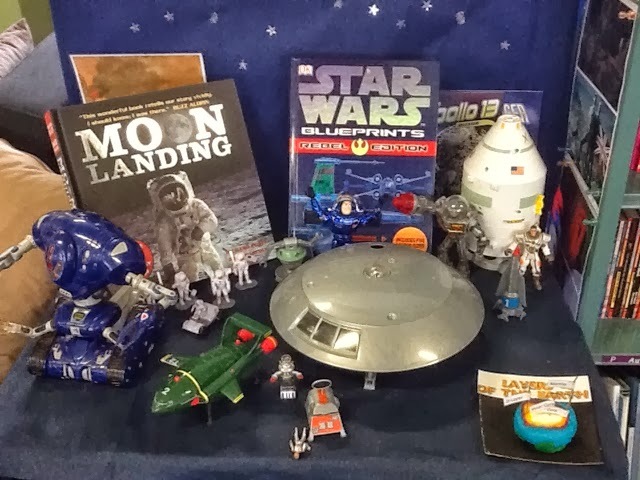 The kids completed sequencing activities and tomorrow will create their own time machine models and a display of what future generations might consider to be a typical exhibit of life in 2013. Experience of visiting Melbourne Museum and integrating with their displays of the 1890s and 1960s should help guide them. We have started watching the Rod Taylor DVD version of the story today. 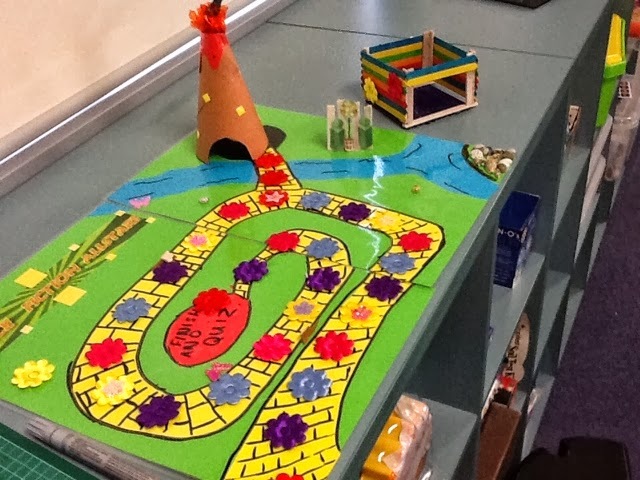 My 2 grade 6 students have just finished a board game based on theme work we've been doing lately ( It is quite a mixture of Wizard of Oz, the invisible man! Professor Branestawm and Journey to the Centre of the Earth. I'll be intrigued to watch them play it tomorrow. 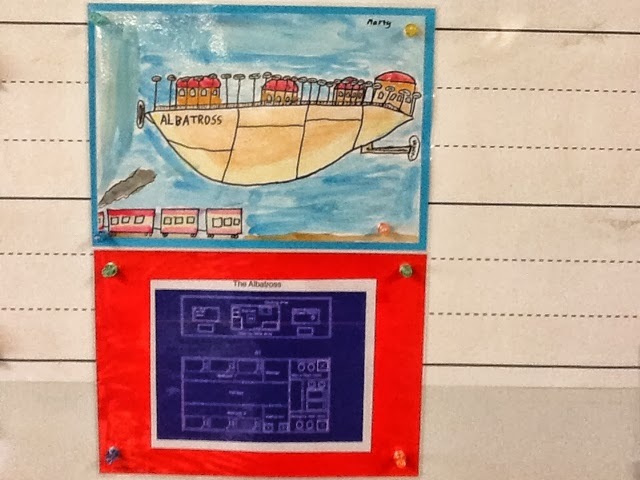 my grade 6 boy also used an iPad app to make a ' blueprint' of the Albatross from Jules Verne's ' Clipper in the Clouds' as well as a watercolor painting of it. 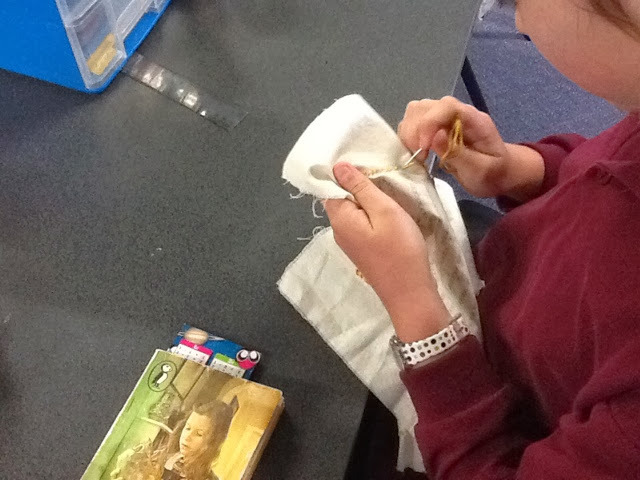 I have also added a photo of some of the girls playing their board game and one of my girls is trying her hand at cross stitch. 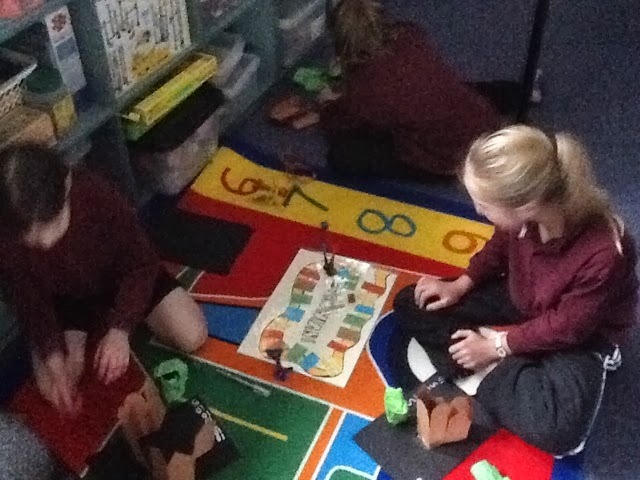 Not sure why but my students are very keen on making their own board games and they've produced three great board games ( pictured below) which have a mixture of themes including Professor Branestawm, The Invisible Man and the works of HG Wells and Jules Verne.Also below is a photo of our garden. The Wizard of Oz is a POP-UP with sensational 3D graphics, a multitude of interactive elements and original sound effects and music. 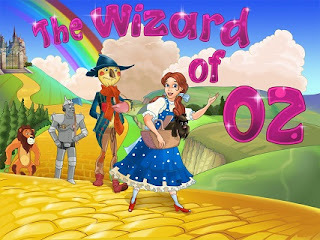 With this book you can enjoy the entertaining journey of Dorothy from Kansas to the the fantasy world of Oz, where she meets new friends and visit the great Wizard of Oz. POP-UP format. 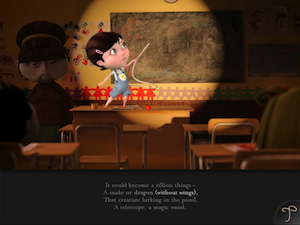 Enjoy the original interactive 3D scenes that burst from the book. Use the accelerometer in the interactive scenes. 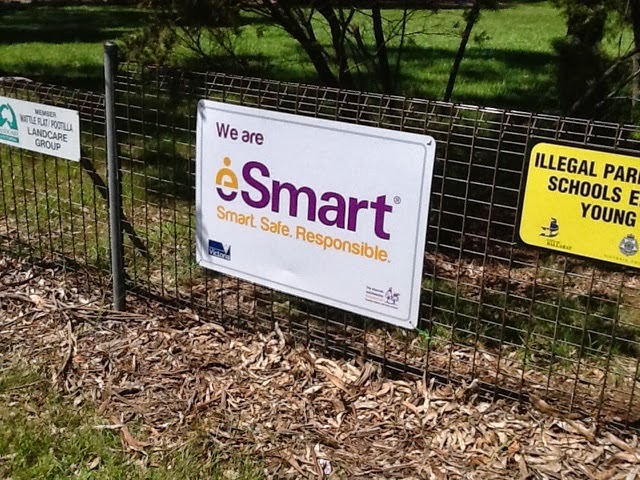 Minigame: complete the maze by moving the device. ‘Read to me’ or ‘Read it myself’. Incorporates entertaining songs, sound effects and original music. (Screen shot below. 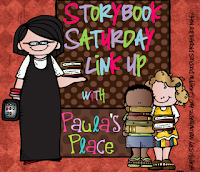 The illustrations are terrific and reminiscent of Winslow's original illustrations. 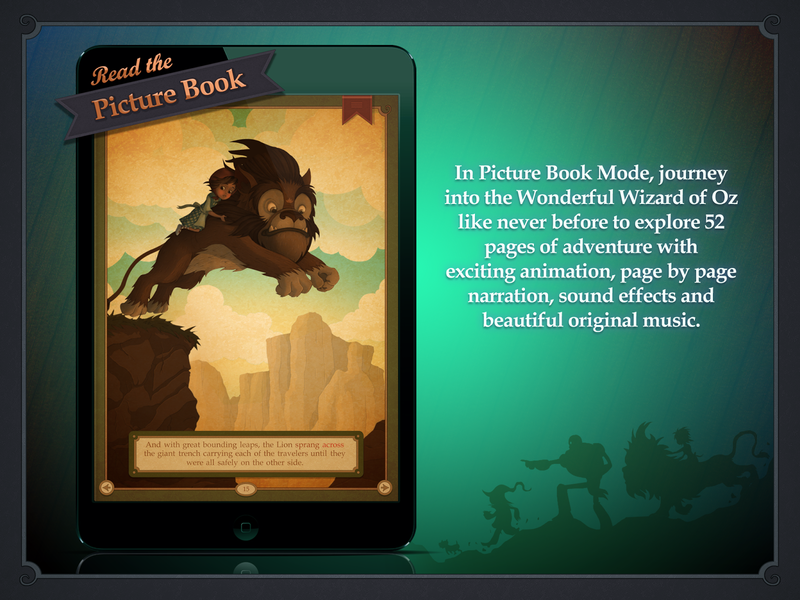 Also all of Baum's books can be found on an app to download. Visit the app store and browse because there are a huge number of apps of varying quality most are free or under $2.00. 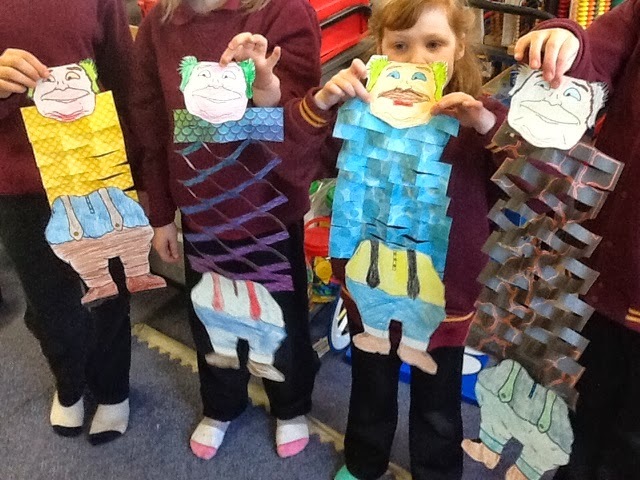 My students created their Hammerheads from the Wizard of Oz today. ( I'll provide step by step instructions with my unit plan) I was going to post my unit for Wizard of Oz but I think I'll wait until I finish teaching it and see what develops. 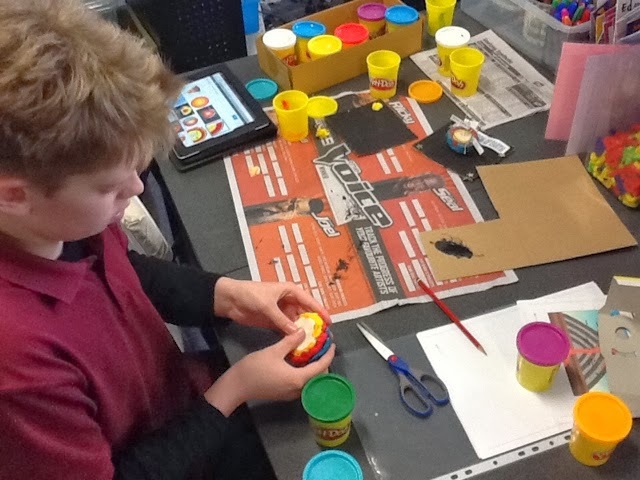 Today my grade 6 boy made a cross section of the Earth to display on our space table. He has finished work on Twenty Thousand Leagues Under the Sea and Journey to the Centre of the Earth. We have just finished reading The Wizard of Oz as a serial and I managed to find an old battered copy of the Marvellous Land of Oz to read next as an afternoon serial. 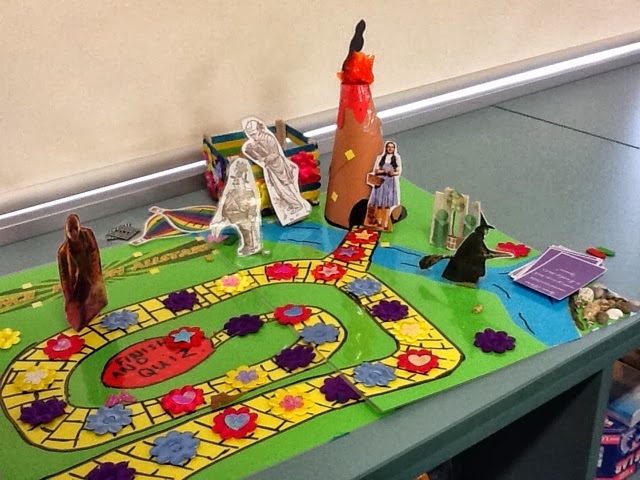 The grade 3 students working on the Oz theme have started tasks from my Wizard of Oz unit which I'll post soon. I also bought some great graphic novel sequels and prequels for Wizard of Oz ( some of them published by Marvel.There are also some great Wizard of Oz apps available for iPads. PS- I've just notched up 9000 views for my blog. 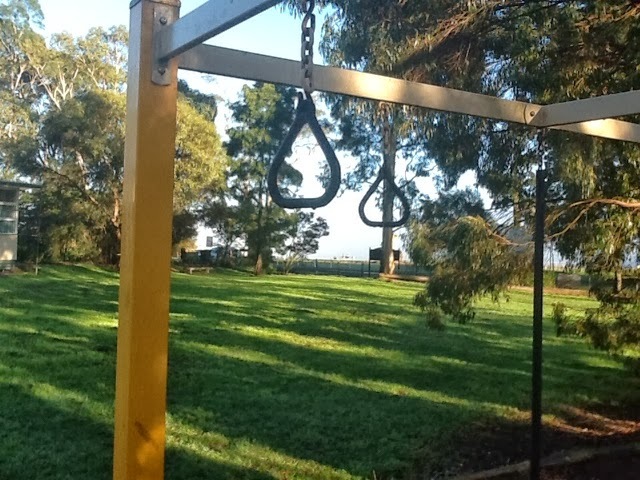 Thanks for having a look, I hope you find something you can use. 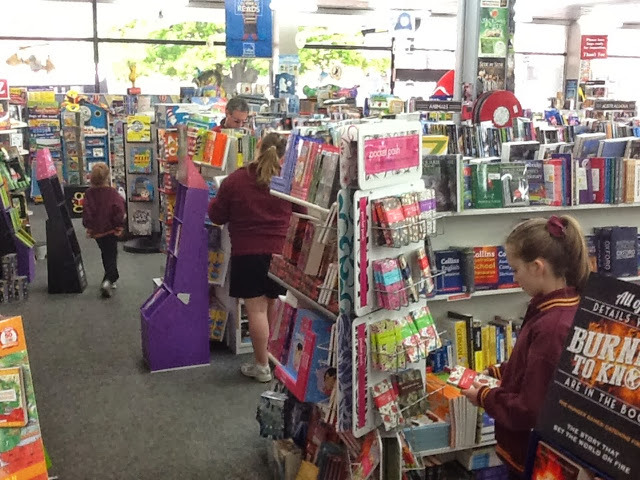 As a reward for achieving their Premier's Reading Challenge targets I took those children who participated to Collins Book Store in Ballarat so they could get a book for themselves and also select a book for our library at school.Photos below show them cruising the aisles looking for books. 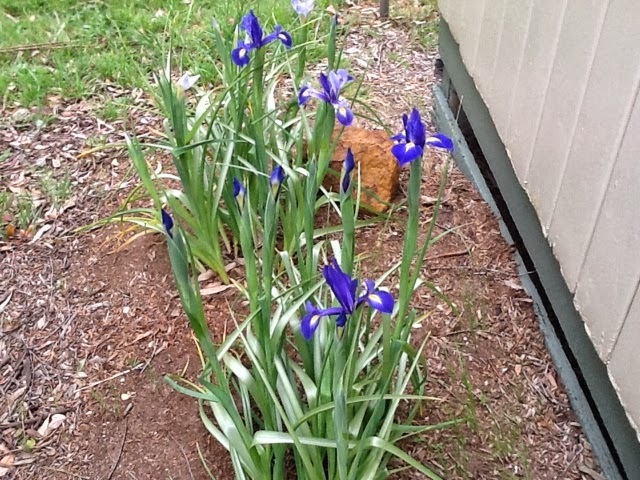 Another typical spring day. Sunshine one minute and raining the next. 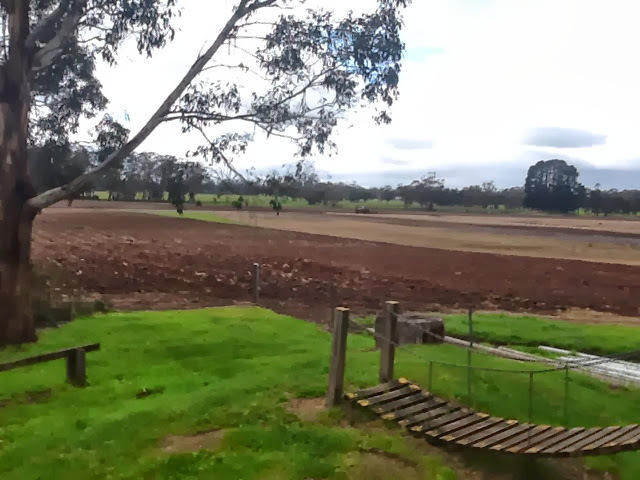 They're ploughing the paddock next door to the school( refer to the photos below) at the moment. 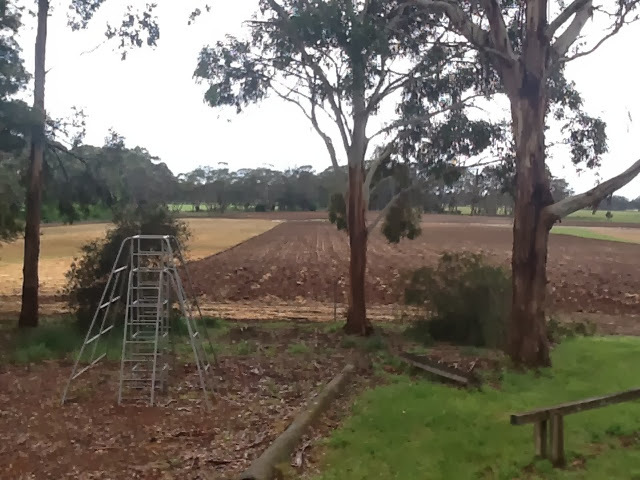 probably potatoes for chip making or turnips for cattle food. We finished reading The Incredible Adventures of Professor Branestawm. It is a very eccentric and old fashioned sort of book but the kids enjoyed it. 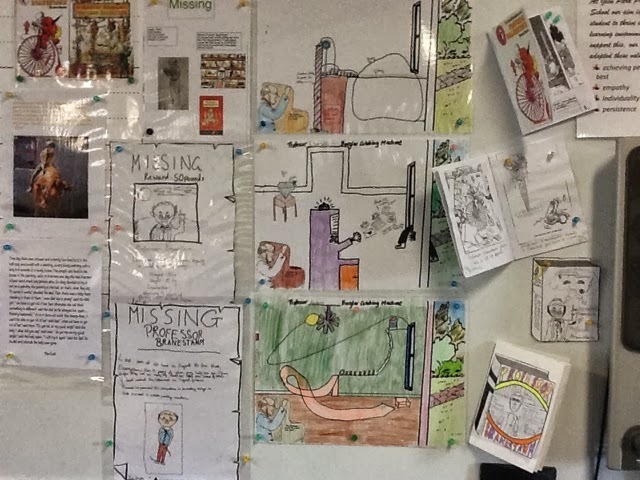 They have finished a missing persons poster for the Professor, a mini reader, a Heath Robinson type invention and a Y chart for the Professor's inventing room. 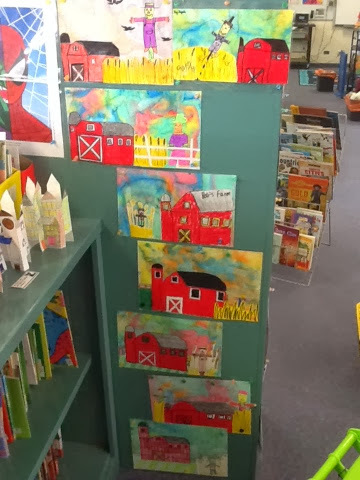 ( photo of their work on display below)Check out the unit plan on TPT. We start reading The Invisible Man tomorrow? We've just read the chapter in The Wizard of Oz where the Wizard floats away in his balloon leaving Dorothy behind. 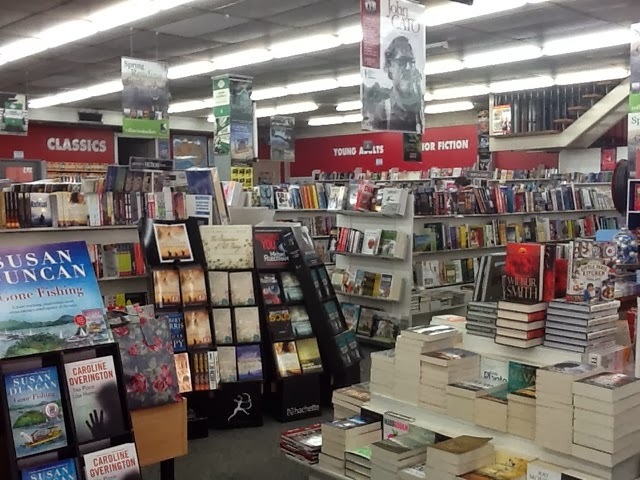 In the movie that is almost the end but in the book we still have a third to go. if you haven't read the original book before then give it a go, there is a lot more too it than what you see in the movie. 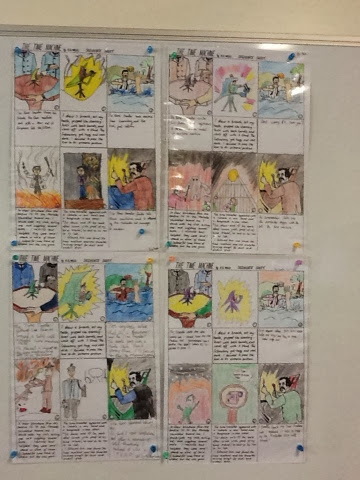 My students are also reading a graphic novel version of The Marvelous land of Oz and will have work to do on that once they have finished it. 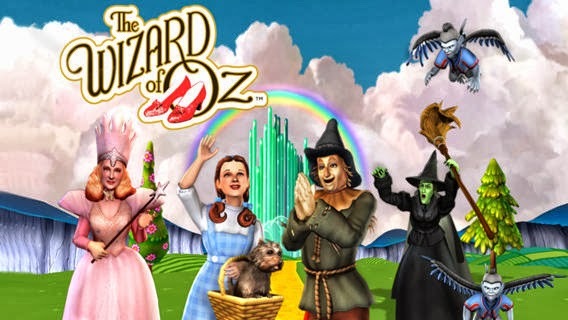 I will post my Wizard of Oz unit later in the week. I had a visit this afternoon from my old RNL ( Regional Network Leader) Julie McMahon. it was great to catch up and have a chat about future directions in education. 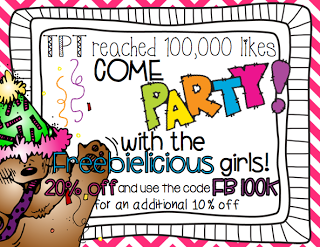 TPT have 10% off all sales if you use the code on the button above.I have also put an extra 20% off all of my items. 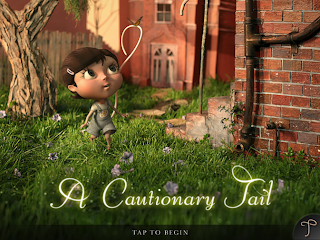 A Cautionary Tail has a message that doesn’t just apply to the younger generation. Based on the award-winning Australian short film “A Cautionary Tail" from 2012, this app brings the movie to your iPad in a format that children can play with while they learn. Meet a young girl with a tail. She came into the world in the usual way, but upon closer inspection, it was clear that this girl was different. On her back was a tiny lump. As she grew, that lump became a bump, and it eventually sprouted into a magnificent tail. Her parents loved her regardless of how different she was. As a child she loved her tail and all the amazing things that it could do. Then, her schoolmates began to notice it. 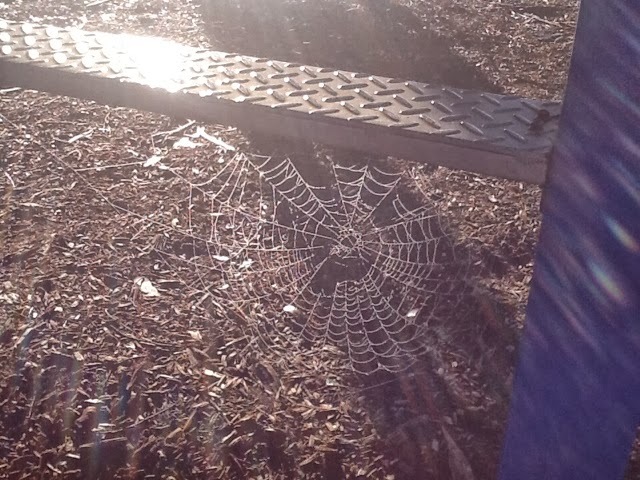 Suddenly, it wasn’t the amazing thing that she loved to play with. It became a mark of how she was different. Little by little, the joy her tail brought to her leaked away. The story deals with feelings of loneliness, sadness, and disappointment with grace. It doesn’t preach to kids about how they just need to cheer up and be happy about what makes them different. It takes them through a real journey that most people have made. It talks about what happens when we cut off the parts of us that make us special just because other people tell us to. The story warns that the ending “isn’t all roses.” There’s real and true pain that people go through when something makes them obviously different from those around them. However, it shows the hope that comes when little by little, you accept that you, just like the girl, have a tail of sorts. I highly recommend this book for any kids who are dealing with bullying, feeling left out, or coping with the changes that come from starting school. It’s an inspirational story that even reminds me as an adult how silly it is to cut off parts of my personality just to suit others. *The price varies a bit. I've seen it on sale for $4.99. Regardless, it is well worth it. 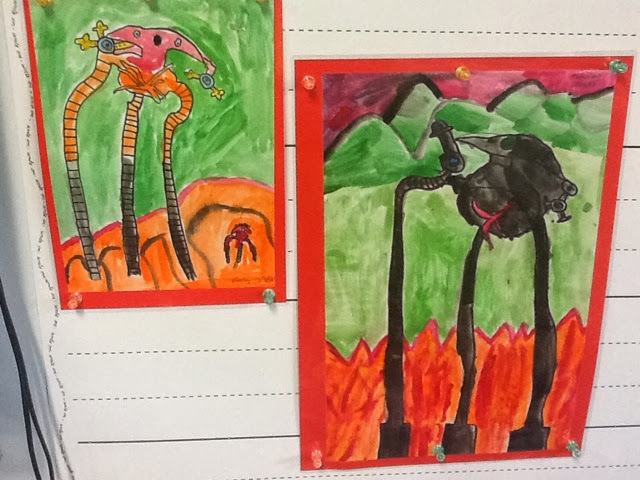 Two of my students finished reading a graphic novel version of War of the Worlds and while watching the original version on DVD they had a go at painting the tripods and I think they did an excellent job. 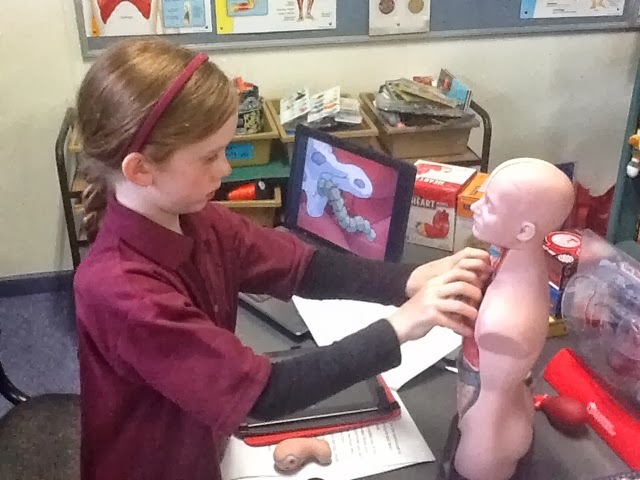 One of my new students who started this term had her turn on the science table working on our 'Human Body' tasks. Her brother was working on Zac Power tasks. He got his new iPad today and we found a Zac Power app for him to try out. 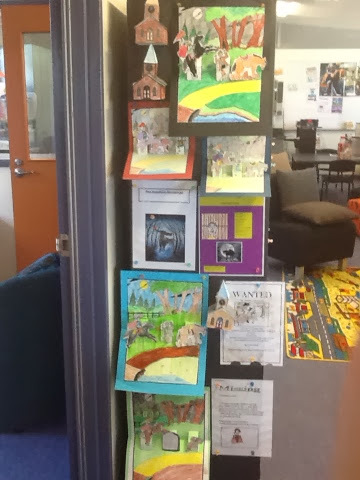 We completed our Headless Horseman tasks today ( refer photo of our work on display- wanted posters for the horseman or missing persons poster for Ichabod, pop up story and cardboard models of a New England church- courtesy of the Ben and Jerry website) We are also nearing the end of our grade one literature theme on fables and today with the help of Leanne from Ballarat Regional Office ( a visiting teacher who comes in once a week to work with one of my students) we completed a craft task based on the fable- The Hares and the Frog. ( Photo below) Go to TPT to find the Headless Horseman and Fables units. Our two new students are settling in well. Today some of my students are finishing off their horror unit by reading and responding to Washington Irving's ' The Headless Horseman'. 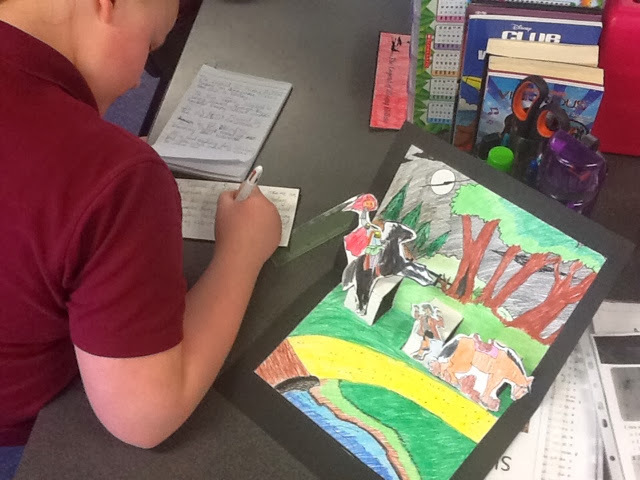 One student was finishing her pop-up story. ( photo below) I've started reading Professor Branestawm. ( sadly I think the kids are noticing some resemblances between the nutty professor and me!) I've also started reading The Wizard of Oz. ( it has been a while since I've read it and I forgot what a great story it is, although the story of how the tin man came to be is a bit bizarre.) 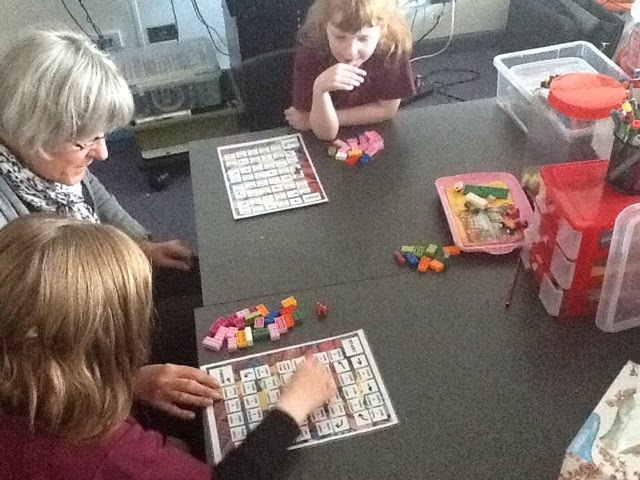 My grade 1 and prep student were playing a Lego adding and subtracting game today with Glenda that I found on Pinterest and loved it. 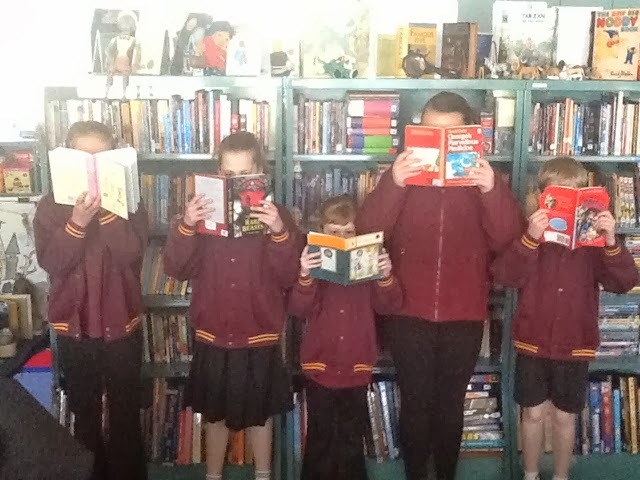 Last year over 220,000 Victorian students read more than 4 million books. 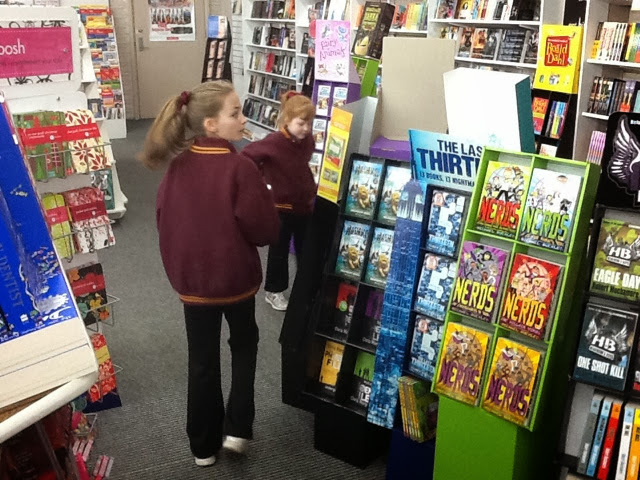 The Challenge is not just about reading in English. The Challenge is open to reading in any language. 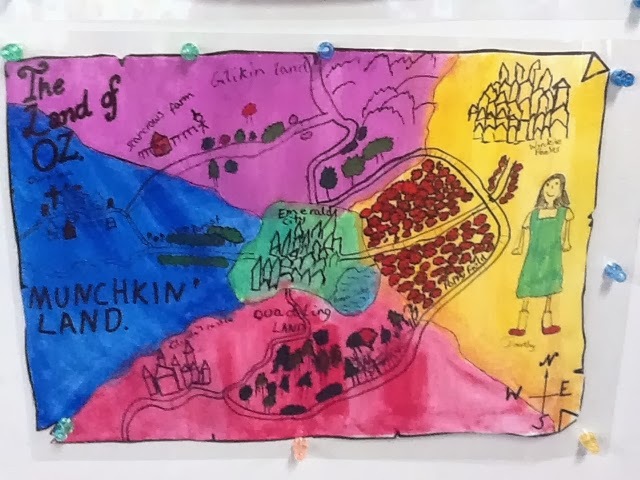 Students can read, or be read to, children’s stories in Arabic or Spanish, classic comedies in French, the Ramayana in Hindi, Chinese poetry and more. Did you know that reading to young children every day has enormous benefits for their brain development, thinking skills and language? 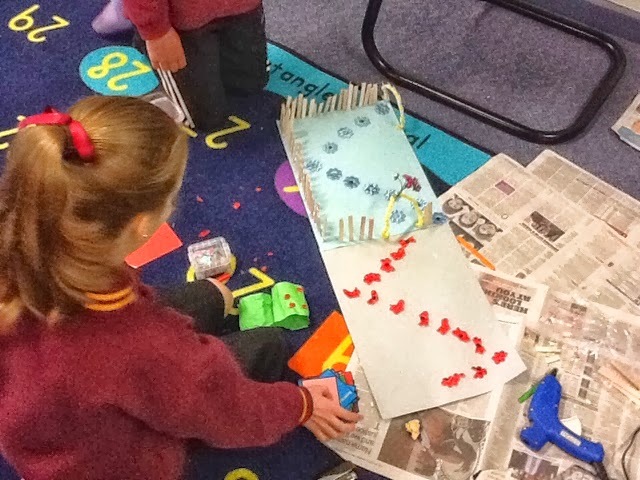 Young children who are read to regularly also do better at school according to a study conducted by the Melbourne Institute of Applied Economic and Social Research and funded by the Department of Education and Early Childhood Development. 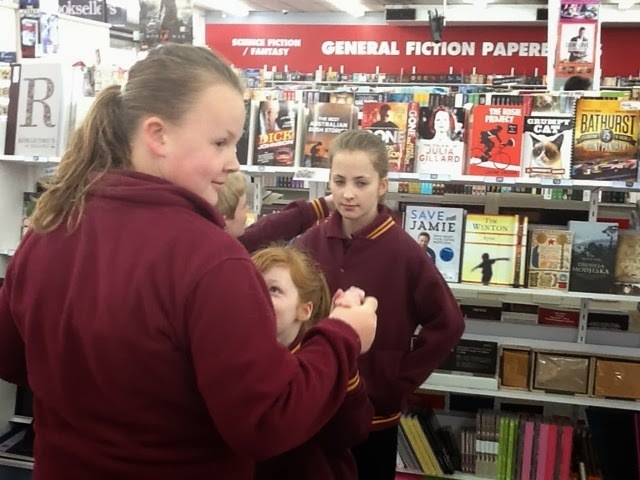 ( I have put details about this data on this week's newsletter) Children who achieve the challenge get a certificate from the premier and as a special bonus here at Glen Park, I will take those children into Ballarat next week to 'Ballarat Books' to select a book for the school library and one for themselves. PS Thanks for the 8500 views.